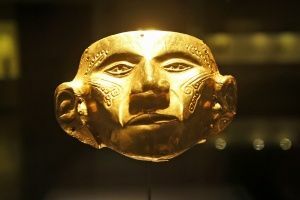 If you come to Bogotá and want to know about how the indigenous cultures that inhabited the northern territory of this part of America lived, you cannot miss the Gold Museum (Museo de Oro), presented by the Bank of the Republic of Colombia. Within the gold-adorned walls of this tremendous museum you will find the world’s most important collection of this precious metal and others that were used in ancient rituals. If you have ever heard about the “Legend of El Dorado,” a famous Colombian and historic story, you’ll begin to understand the roots of the Spanish lust for Colombian gold. 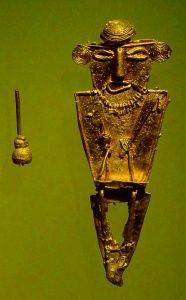 Exploring the legend of “The Golden one” you’ll discover that one of the most important rituals for the ancient Muisca culture was to build a wooden raft, laden with gold jewelry and figures in which the future “cacique” (cheiftan) sailed, naked, bathed in honey and gold dust. In this raft he sailed to the middle of a lagoon, located in a hidden mountain more than three thousand meters above sea level. When arriving at the center of the lagoon, jewels were thrown to the bottom to honor the gods and the future cacique was thrown into the water to leave it blessed by the gods and as a unique cacique. The more adventurous traveler can visit the lagoon, located near the town of Guatavita, only a few hours from the museum! When Spanish colonizers heard about this and many other Muisca legends upon arrival in this territory, they were inspired to look for the lagoon, its gold and its deposits. In fact, the government still struggles to preserve the lagoon today! Many of the jewels found in lagoons, rivers, and buried throughout Colombia by the Muiscas and in other indigenous rituals were hidden for hundreds or perhaps thousands of years. They are now protected and open to the public in order to help learn about the true history of Colombia. 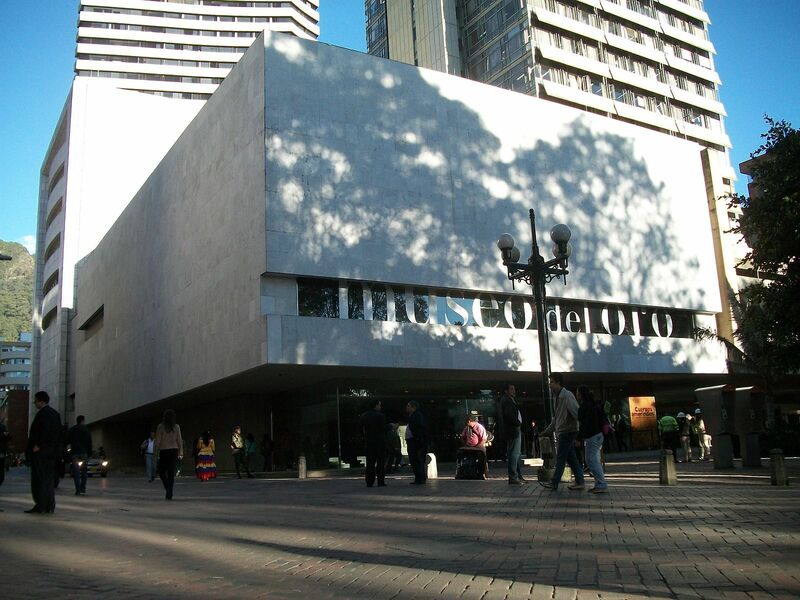 Join us in Bogotá to visit this impressive Gold Museum, located in the historic center of the Colombian capital. And for those who want to learn about the dark past of how the Spanish finally discovered the lagoon at Guativita, extend for an impressive and historic hike around the actual site!